There are a lot of factors to consider when deciding what floor is best as you shop for a beachfront vacation or investment condo. Buying a condo as a rental property means you need to not just consider your own personal preference, but what prospective renters prefer. And although almost every condo will rent during the prime season, you want to maximize rental revenue for the whole year. That means you need to consider how floor selection comes into play in landing those “shoulder season” renters who have their pick of a wide range of availability in the market. 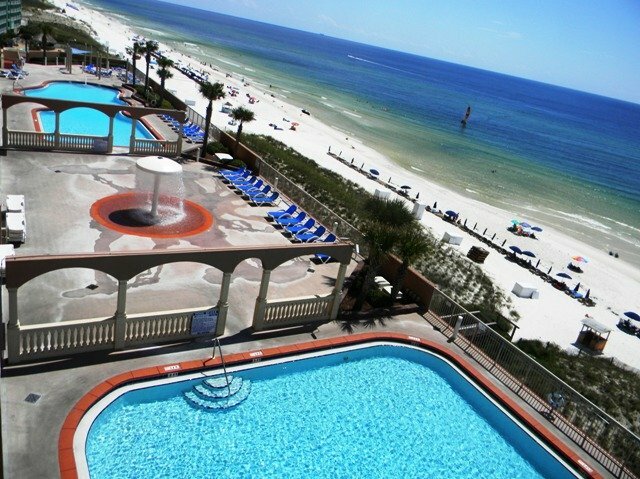 As someone who owns vacation rental properties, previously owned a high-rise beachfront rental management business and now sells condos and vacation homes along the Florida Gulf Coast, I’d like to share some thoughts that may help you choose the “perfect floor location” for your vacation condo. There’s nothing like the smell of a steak on the grill….except when you get to smell it night after night for hours at a time. Smells from beach side grills, restaurants and dumpsters can be a real detraction, especially in the hot summer months. Make a note of anything nearby that might interfere with the smell of salty sea breezes, and remember winds can change direction, so be sure to look all around! The sounds of children playing on the beach and radios cranked up to the big hit song of the summer can be great, but when you want a quiet nap on the balcony, the really low floors can be noisy. And you can also experience unwanted noise from nearby restaurants or clubs, heavy traffic, or outdoor events. And remember, sound can reverberate several floors up a concrete building! Winner: In general, the higher you go, the less of an issue smells and sound becomes, so, I’ll give the win to the mid to higher floors on this one. Tip – Make sure you understand hours for pools, hot tubs, restaurants, etc to know how late the noise and smells will go. Also, make note of any noisy mechanical equipment nearby. 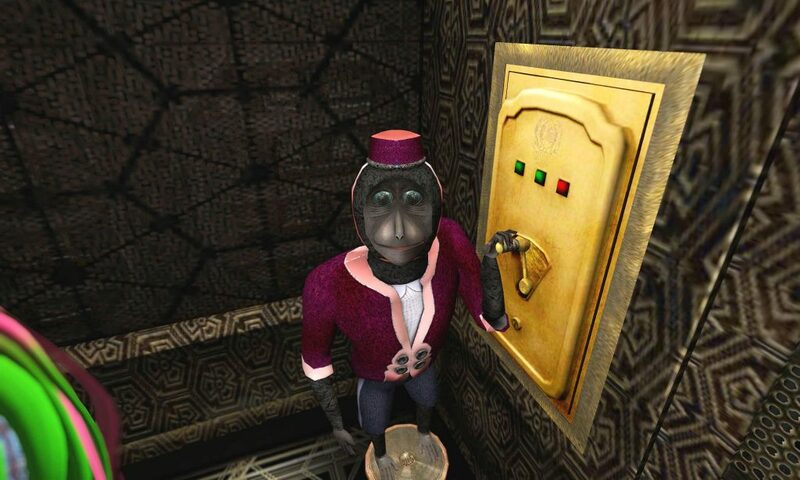 Long waits for overcrowded elevators in the middle of the steamy hot summer can be a rough way to start off your vacation. With many resorts having most guests check in and out on Saturdays, it can lead to long lines and short tempers. A ground floor unit can be a real plus when unloading a car after a long drive or loading up when it is time to depart. But, all other floors will require an elevator wait in order to get that luggage cart full of groceries, beach toys and luggage to/from your room. But, there may be many times in a stay when a guest would be willing to walk up or down one or two flights of stairs to avoid waiting for an elevator. Plus, this will get them a few extra floors on their Fitbit! 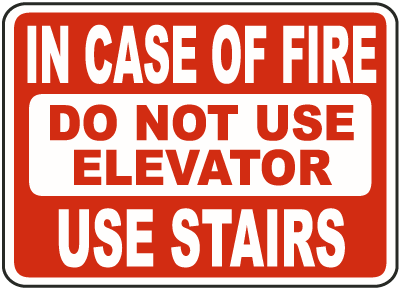 Tip – Take stock of the number of elevators and how fast they run. A resort with a large number of condos serviced by only a few slow-running elevators can be a huge issue for prospective renters. A 2016 study by Statistic Brain showed 10% of the US population suffers from acrophobia or fear of heights. So that means for every 10 potential renters, someone is likely to use fear of heights for them (or someone in their group) as part of their decision making process. From my days with the rental management business, I can confirm we would regularly have potential renters that would only accept condos on the lower floors. They would reserve our lower units well in advance and often pay more elsewhere for a lower floor unit.. Winner: Lower floors win here. I’ve seen annual rental revenue differences of 5-10%. Tip: There’s not a lot you can do to help your potential guests overcome their fears, so your best bet is to try to counter it by playing up the incredible endless views of the water. People with physical disabilities or elderly guest are more mindful of how they might get out of a building in the case of an emergency and elevators are not working and they tend to select ground or low floor units if possible. Winner: The lower the floor the better for disabled vacationers. Tip: Determine emergency exit options and post inside your condo. Even people without physical limitations are also now more fearful of being stranded in upper floors after the horrible 9/11 tragedy. In most states, property appraisers have the ability to utilize “floor level” as one of the comparative features for individual condominiums. The criteria for a beachfront rental condominium are different than a high-rise downtown condo in a major city. Appraisers do consider views but they generally apply added value to mid to lower level floors. This came from one of my recent appraisals: Floor adjustments were applied to recognize “market preference” for specific blocks of elevation. For instance, floor levels near the top sell slightly less than floors located in the midsection of the building. 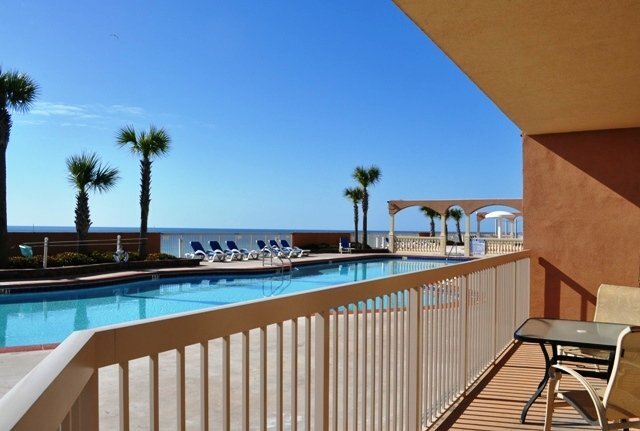 The owner of a unit on floor 9 has superior and larger vertical view of the Gulf of Mexico when sitting in the living room or master bedroom as one can even see the tide breaking from the subject unit. Furthermore, the sound of the rolling tide is more desirable than compared to the 20th floor. This is supported by the sale prices of Comparables 2 and 3. Winner: The lower middle floors. Tip – Look at the past 2 years of sales in a resort and determine which levels obtained the best sales price (all other things equal). Some people love to people watch and let’s face it, there can be some entertaining folks on the beaches! If you get up too high, you can’t see the details of the people below – whether you are looking for your spouse and kids or just watching the crowds as they enjoy some fun in the sun. The first few floors offer the best way to keep an eye on older kids from your balcony or figure or which beach chairs your spouse is at before you trek down to the beach lugging a heavy cooler. Winner: For this category I’ll give the win to the lower to mid level floors. Tip – Remember that when you are down low enough for good people watching, you might be the one being watched too! If you like to enjoy your morning cup of coffee in your pj’s, you might be waving to the early morning beach walkers as they go by. After all, turnabout is fair play! Last but not least, there’s the view. When you get up high enough, it’s easier to spot those pods of dolphins playing, rays leaping out of the water, or if you’re lucky, a slow moving manatee or turtle swimming by. The highest floors (above the 20th floor) offer some really spectacular views down the beaches and out across the water, but you will lose the details and might need binoculars to be able to zoom in and see what “that dark blob” out there really is. In general, west facing high floors are popular for views of the beautiful sunsets. But other factors like view of a pier where fireworks are launched can be a plus as well and can help you land rentals for the many holidays throughout the year when fireworks are launched. Also, don’t forget to look at what kinds of trees are planted and factor in growth. The warm Florida temperatures can help those palms grow faster than you might think, so those trees that aren’t a problem today could grow into one in the near future. Tip – Make sure to note of any empty lots beside the property, of an older building which might be likely to be torn down and remember that a taller structure could be built in its place. Probably no surprise on this one, but overall I would give the nod to the mid-lower floors 3 thru 9. Here you get good views, better privacy, minimal noise, easy emergency exit, and you can still attract most renters with a fear of heights. Plus, when you get ready to sell, chances are you will have more potential buyers and get a better price. One last tip – Check out reviews of the resort and see what guests are saying on various travel websites, such as TripAdvisor. Many times guests will mention in their review what floor (or even unit) they stayed in and you may gain some valuable insights. What floor do you like to stay on when you vacation at a condo and why? Share your thoughts in the comments below. Have questions about vacation and investment homes and condos along the Florida Gulf Coast? Give me a shout at 850.290.2901 or email me at Ricky@RickyLeeJones.com. 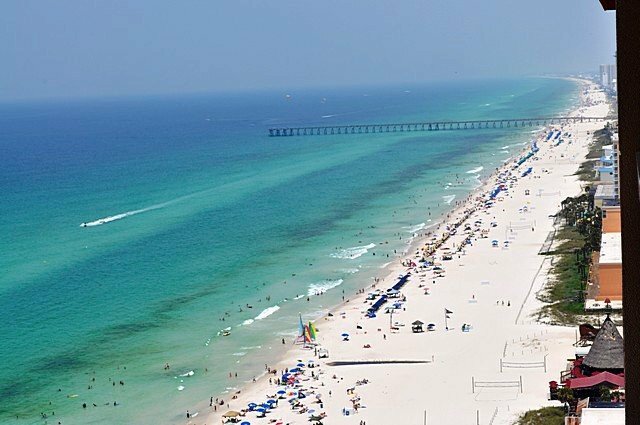 I cover from Destin to 30A to Panama City Beach and I’m always happy to help!